I made another run to the store today. I needed some “Liquid Smoke” for a dressing that involved mayo and Sriracha sauce. The first shelves at this particular Grocery Outlet were filled with plants. Of course there were some more chardonnay vines. These ones looked bad–even worse than the one I rescued yesterday. There were four vines. I now have five vines (including yesterday’s purchase) that are two years old. I also think I can take nine cuttings from them. If they survive. 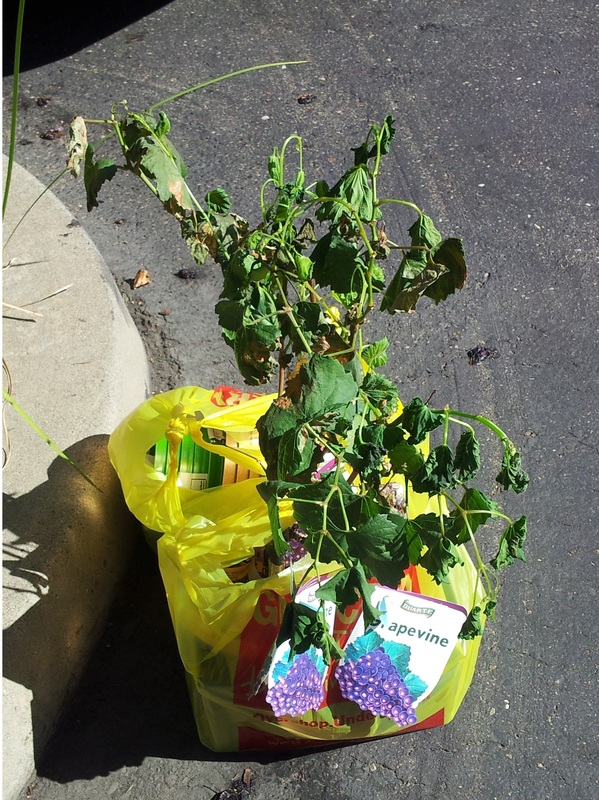 I potted all of the vines, though four of them are in smaller containers than I would like. I wasn’t willing to invest in bigger right now. I’ll upgrade if the vines look better in a few weeks. Oh, I got my Liquid Smoke too. This entry was posted in Plants, Shrubs and Trees and tagged chardonnay, vine by admin. Bookmark the permalink.